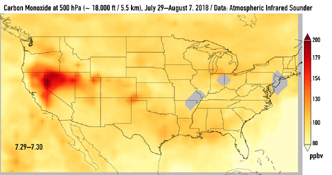 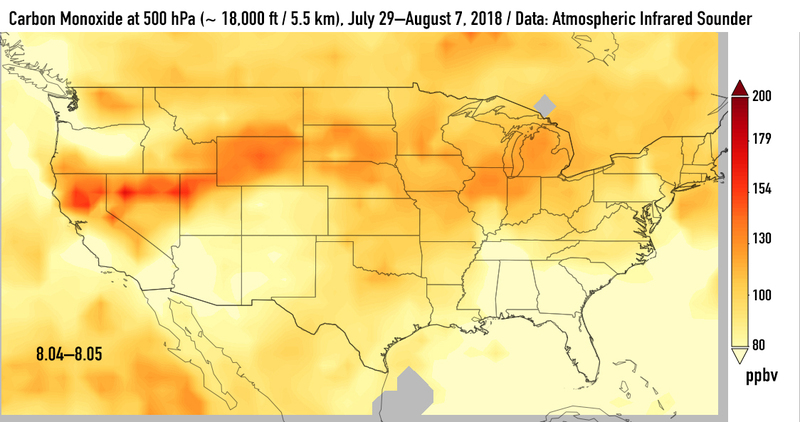 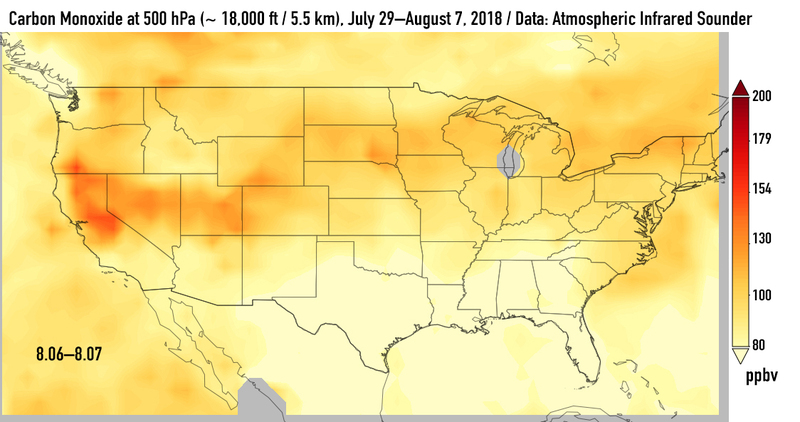 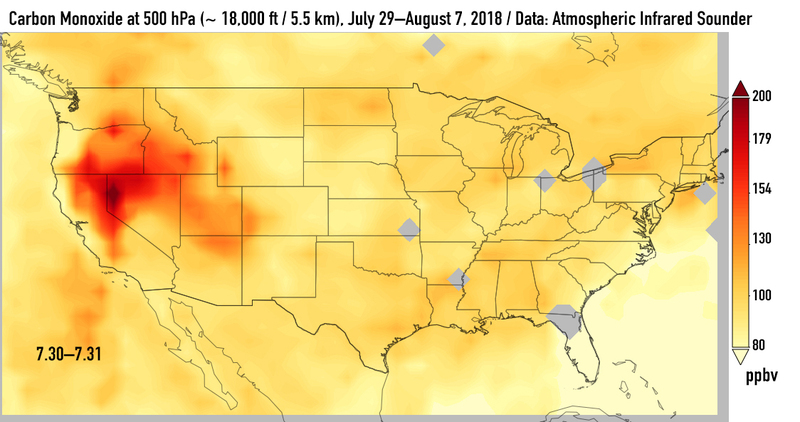 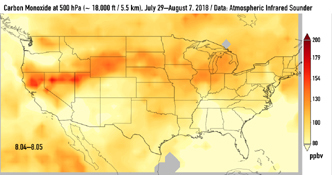 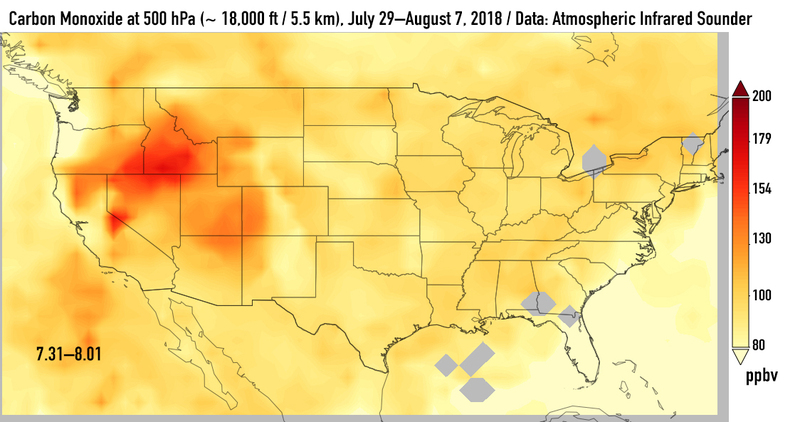 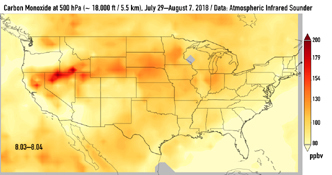 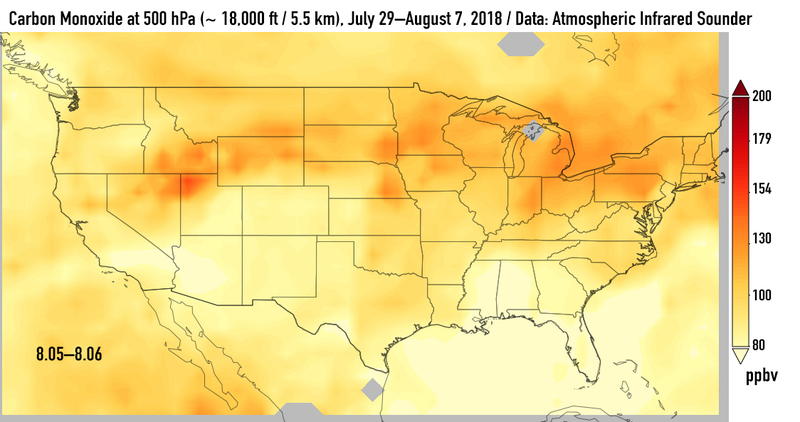 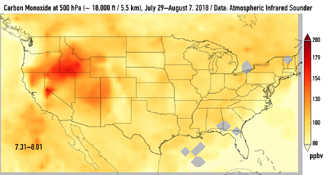 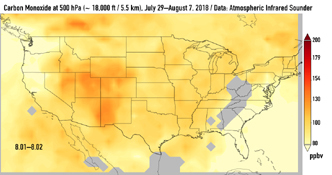 This series of images shows carbon monoxide (in orange/red) from California's massive wildfires drifting east across the U.S. between July 30 and August 7, 2018. 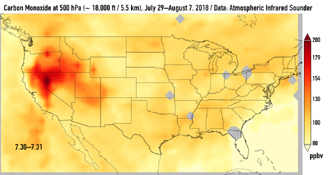 It was produced using data from the Atmospheric Infrared Sounder (AIRS) on NASA's Aqua satellite. 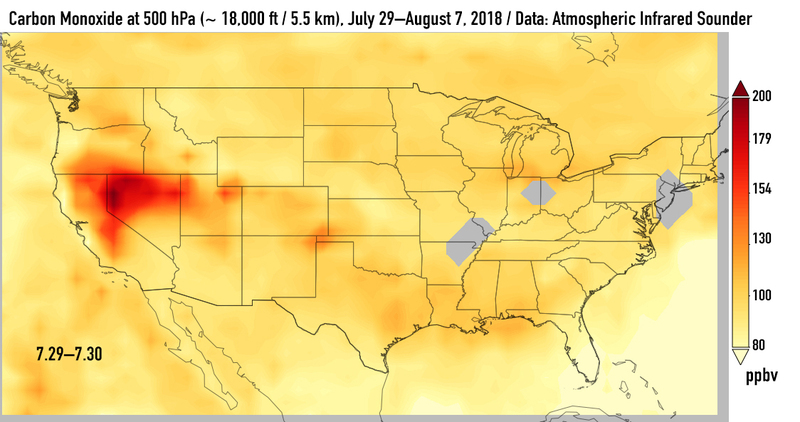 AIRS measures concentrations of carbon monoxide that have been lofted high into the atmosphere. 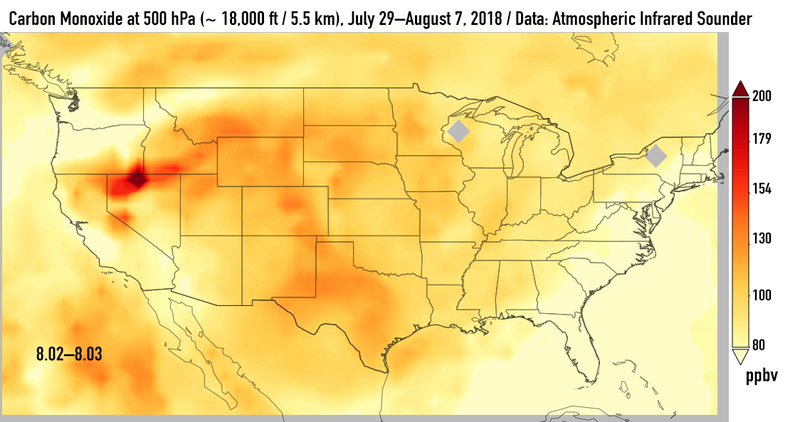 These images show the carbon monoxide at a 500 hPa pressure level, or an altitude of approximately 18,000 feet (5,500 meters). 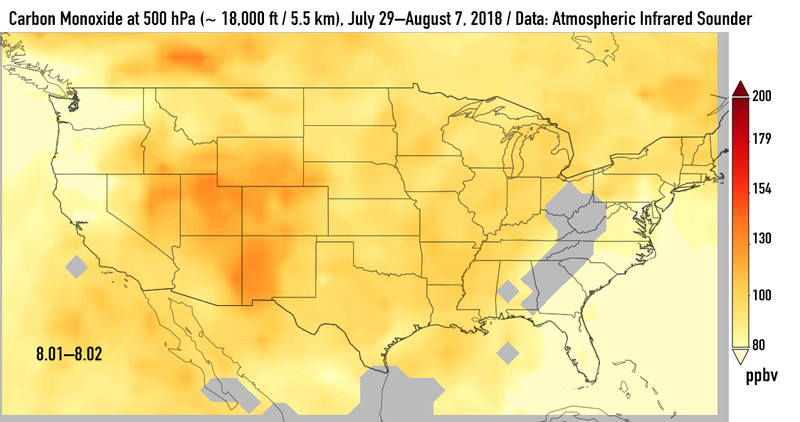 As the time series progresses, we see that this carbon monoxide is drifting east with one branch moving toward Texas and the other forking to the northeast. 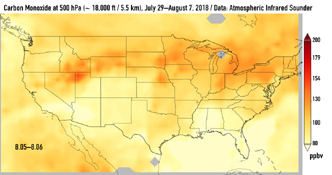 The high end of the scale is set to 200 parts per billion by volume (ppbv); however, local values can be significantly higher. 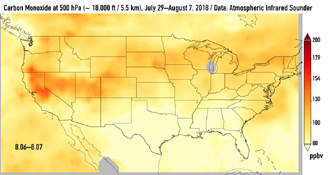 Carbon monoxide is a pollutant that can persist in the atmosphere for about one month and can be transported large distances. 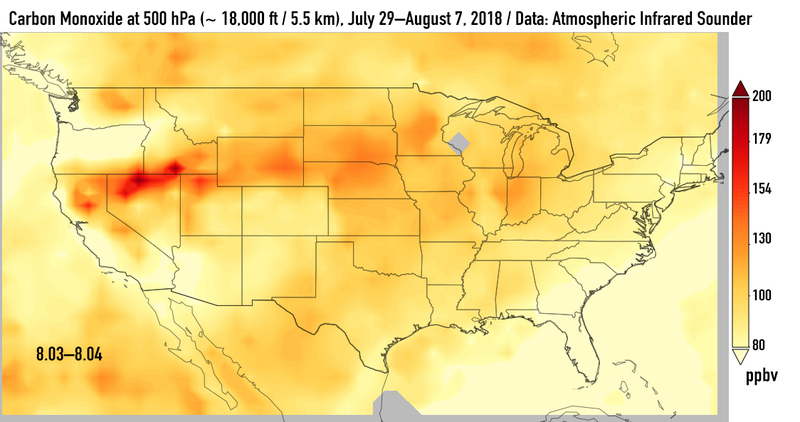 It plays a role in both air pollution and climate change.